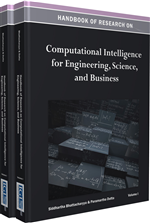 The chapter is mainly focused on theoretical discussions and experimental observations on decision fusion along with feature level multisensor fusion technique for human face identification especially useful in information security system in order to obtain better recognition rate. Feature level multisensor fusion of optical and infrared images is performed to resolve the difficulties of individual interpretation of visual and infrared images as a first step of the face identification system. ROC curve analysis is also reported to verify the recognition accuracy after classification of fused images using Support Vector Machine (SVM). The authors have performed experiments on IRIS face database in three different groups: full dataset, and two subsets with variation in expression and illumination. Classification accuracy was obtained in two subsets and full dataset as 95%, 94.12%, and 99.08%, respectively after decision fusion. Information security has become an essential part in our everyday life with the growing need to exchange information. In both public and private sectors, information security plays a vital role relating to confidentiality, integrity, and availability of data. Many technologies have been developed to control access to files or resources, to enforce security policies such as ID cards, passports and visas. But if someone steals, duplicates, or obtains those identity means, he or she will be able successfully to pretend to be as someone else. A promising field of biometrics known as face identification system is introduced to counter this trouble. It allows confirmation of exact individual identity. Identification, one of the two main functions of the recognition system, literally means to determine the identity of an individual by comparing all previously stored subjects in the database (Tiwari et al., 2009). Human face identification is one of the most popular biometric methods in the field of information security, which is the most crucial aspect in today’s world to protect personal information from unauthorized access, disclosure, or modification. Face biometric in identification system is used for security applications with the help of computational intelligence by making decisions on different environments to recognize or identify the subject. It has some advantageous features over other biometrics like face based biometric system does not necessitate any advanced hardware and less touch is required. So, it is easy for humans to verify results. Few shortcomings of visual face imagery can be also pointed out like: visual face imagery can be affected by many factors in the outdoor environment, including atmospheric decay, target shape, great distance, fog, temperature (Fang & Wu, 2008). To overcome these limitations of visual face imagery, the concept of infrared (IR) face images has introduced. The purpose of infrared images is mainly focused on displaying gradient of temperature variations; so, estimation of heat patterns is diverse for distinct object classes. Also, IR images are invariant to illumination changes and facial expression. So, interpretation of each image type may not include reliable and complete information. For this reason, the fusion of both visual and infrared (IR) spectra has been initiated which have the potential to improve face recognition performance. The image produced by employing fusion method provides the combined information of both the visual and thermal images and thus provides more detailed and reliable information. Image fusion has come forward as a promising research area with the aid of multiple image sources. We have used a technique (the gradient face imaging with IR images) to extract illumination insensitive features for face recognition under varying illumination in the wavelet domain (Zhang et al., 2009). Here, Daubechies wavelet transform, termed as db4, coefficients from visual and corresponding coefficients computed in the same manner from infrared (IR) images are combined to get fused coefficients. Then, Eigen Value Decomposition based Candid Co-variance Free Incremental Principal Component Analysis (EVD-CCIPCA) for dimensionally reduction of the fused images is used to increase the recognition rates. Finally, those reduced fused images are classified using Support Vector Machine (SVM). Support Vector Machines are well sound nowadays and mostly used machine learning algorithms (Scholkopf & Smola, 2002, Vapnik, 1998). Three different kernels of SVM have been implemented which are considered as three different SVM classifiers. By combining the individual classifier’s output, it is intended to get higher accuracy than that of the best classifier (Kuncheva, 2002). This approach is also termed as decision fusion or ensemble of classifiers (Erdogan & Sen, 2010). For classifier combination, there may be fixed combiners or trainable combiners. Fixed combiners are sum rule, product rule, max rule, min rule, and others (Kittler, 1998). Multisensor Image: Multisensor images contain complementary information obtained from different sensors to get more complete and detailed image. Decision Fusion: Decision Fusion is the combination of classifiers to achieve better classification accuracy in pattern recognition problem. SVM: Support Vector Machine (SVM) is a supervised learning method for separating two classes by constructing maximum margin hyperplane. ROC Curve: Receiver Operating Characteristics (ROC) curve is especially useful in pattern recognition problem for evaluating the performance of the classifier in terms of false positive rate and true positive rate. Information Security: Information security is an essential need in our everyday life to protect our information or to securely exchange our information. Face Identification: Face Identification system is a popular biometric method that can identify the person by matching all users’ faces stored in the database.